The Eagle Head Up Display from Maryland-based Epic Optix is a portable device that projects key flight data such as airspeed, altitude and vertical speed into a pilot’s line of sight in the cockpit. The HUD works by connecting to either an Android or Apple device and capturing video of any aviation app—such as ForeFlight or Garmin Pilot—and then relaying that data in full color and high definition in front of the pilot. With a brightness level greater than 20,000 nits and a protective glareshield, the Eagle provides a clear display in bright VFR conditions. The Eagle aims to bring the benefits of HUD technology long enjoyed by military pilots—such as increased situational awareness and a reduction in head-down time—into the realm of affordability for GA fliers. The product is sold directly from Epic Optix and is also now available as an option from Textron for Cessna and Beechcraft aircraft. 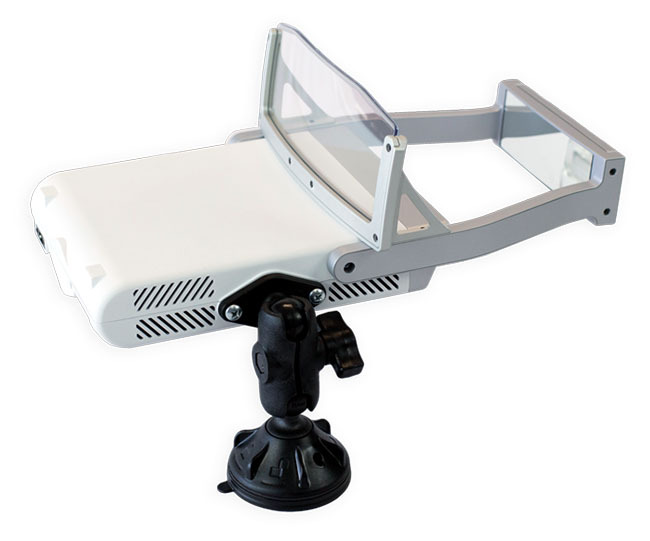 The product comes with a suction cup mount, a carrying case and a one-year warranty. When the Aviat A-1 Husky first took wing in 1986, it was a pretty barebones take on the Piper PA-18 Super Cub design. More than three decades later, it’s a lot more than that, as the designers at Aviat have refined the Husky’s design, proving that old dogs can indeed learn new tricks. At Sun ‘n Fun 2018, Aviat unveiled a number of substantial improvements to the Husky design. Replacing a bungee elevator trim system, Aviat added an elevator trim tab to relieve stick forces and increase stick feedback. For pilots looking to beat up the bush, Aviat added a rugged gear option. This modification extends the landing gear to propeller clearance while increasing the stance between the main wheels by 12 inches. It also moves the main gear two inches forward of the stock location, putting more weight on the tailwheel to offset aggressive braking often required for extreme short field landings. The rear seat has been redesigned, for quick removal. With the rear seat removed and the stick cover in place, upwards of 35 cubic feet are available for cargo. The front seat now can slide forward to allow easier entrance and exit for passengers, as well as properly accommodating pilots of varying heights. The interior also received a bit of attention with new upholstery options and heated seats. Holsters for ANR headset control boxes also should help to make the Husky’s cockpit a more orderly experience. 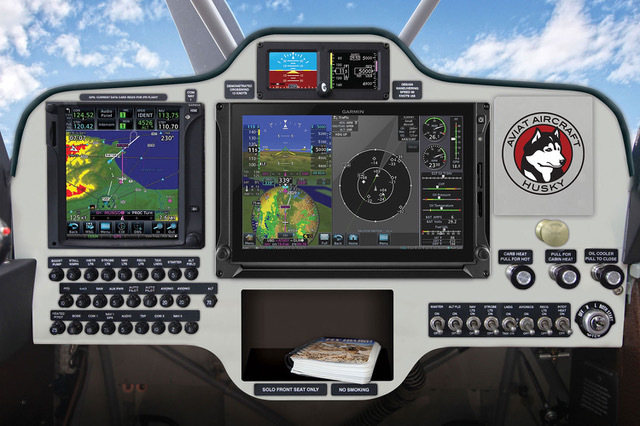 Aviat has also added an IFR capable Garmin panel including Garmin’s remarkable new G500 TXi touchscreen display and a GTN-750 Nav/Comm/GPS to give the Husky abilities to handle weather that’s as challenging as the off airport terrain it is known for. And when you want to go hands-off to reduce workload in the weather, the option of an S-Tec 3100 autopilot is at the ready. For long-haul flights when you’ll be logging several hours in the cockpit, sometimes a little bit of extra seat support can help ease the toll traveling can take on the body. 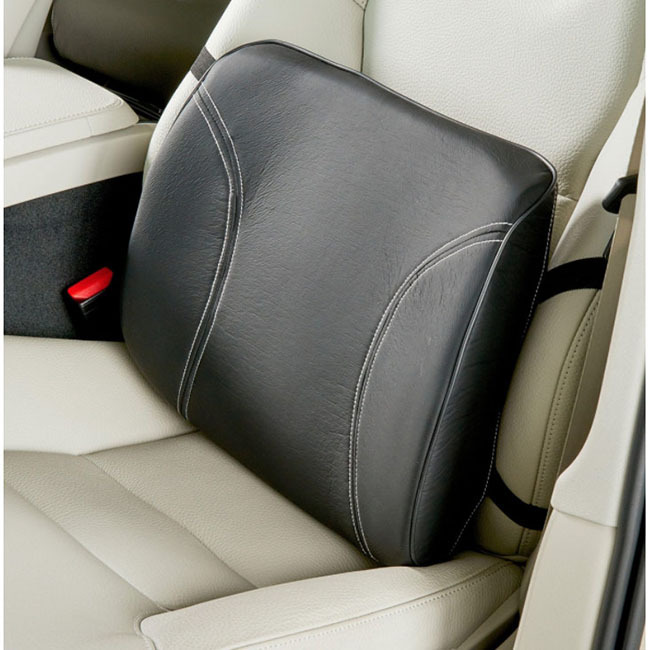 The Foam Lumbar Support Cushion provides an added layer of comfort for those looking for just that. The 15.25- x 14-inch cushion is made of dense but flexible foam that molds to an individual’s body shape and provides support for the lower back. The cushion is equipped with two elastic straps that allow it to attach to an aircraft seat and stay in place during flight. 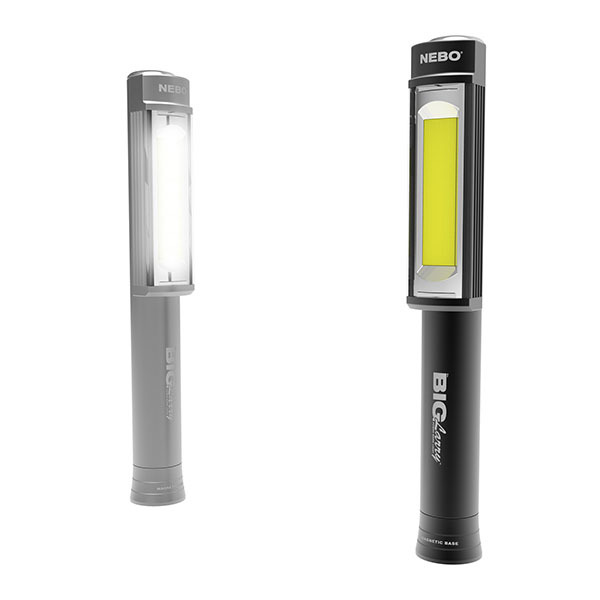 For those seeking a very bright light, the Big Larry from NEBO provides a high-power 400 lumen LED work light. The robust 7.5-inch light is made of anodized aircraft-grade aluminum and features a powerful magnetic base that makes for easy and reliable mounting. In addition to the intense white light setting, the Big Larry also features a low 160 lumen setting as well as a high-powered red light setting for emergency situations in which users need to get the attention of others in the dark. The light runs on two AA batteries, weighs just under half a pound. 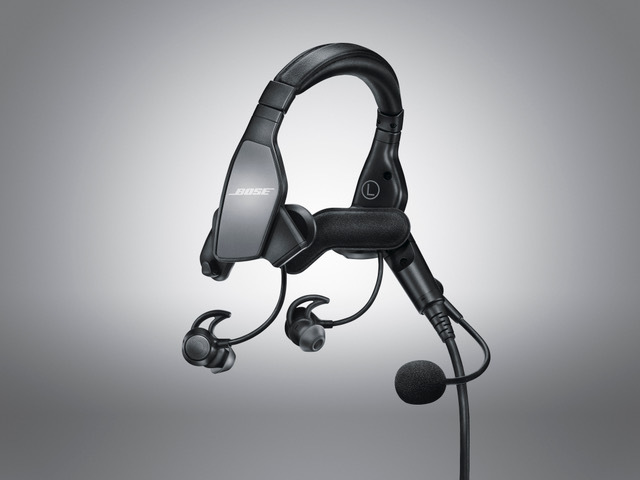 At an invitation only press event two weeks ago, Bose announced a new headset, one designed for pro pilots, those who fly turbine aircraft. The lightweight and comfortable—we tried it!—new ProFlight headset is FAA TSO’ed (an FAA requirement for most commercial planes) and it features a raft of innovative features, including a boom you can swap from left to right with ease, adjustable nose cancellation (more for noisy cockpits, less for quiet ones), and adjustable, side-selectable noise reduction you can set by tapping a single ear to instantly adjust the level of that one side. A key component of great aerial video is capturing stable footage, which can be challenging given the exposure of a wing-mounted camera. 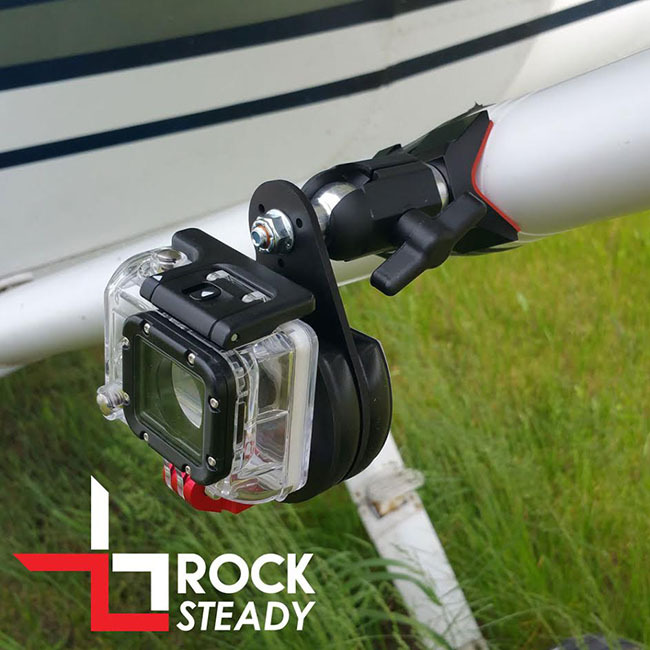 The Rock Steady VibeX GoPro Mount Kit w/ Strut or Skid Base provides a secure case and mount that limit the effects of the elements and engine vibrations during flight. The focal point of the case’s design is gel technology that isolates the camera and protects it from outside movement. The VibeX strut base is compatible with any size aircraft strut and is secured using a 21-inch metal strap encased in rubber to prevent chafing. The strap, which can be cut to fit, is set in place with a thumb screw and an aluminum block. Once mounted, the VibeX adapter allows users to rotate their camera 360 degrees.